Devon is prime National Trust territory. There are an abundance of fine country houses ranging from the grand to the rather quirky. The range of ages is equally diverse with NT properties including medieval manor houses right up to 20th century faux castles. All now have one thing in common, they are open to the public and will be looked after for generations to come. But there is more to the National Trust's work than managing great gardens and stately home. Much of the Trust's work involves the conservation of some of our most beautiful landscapes - and who could argue that Devon doesn't have more than its fair share of these. 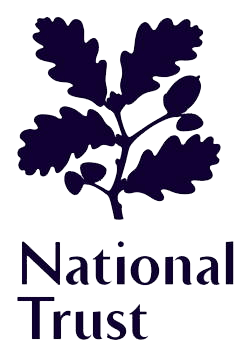 The "National Trust for Places of Historic Interest or Natural Beauty", to give it its full name, has had rich pickings in Devon. With Devon having not one, but two coasts, and the NT owning around a fifth of England's coastline it is little surprise some of the finest coast and beaches in Devon are now under the care of the Trust. Although there is generally a charge for non-members to enter properties and gardens, the countryside owned by the National Trust is free for all to enjoy. On the other hand Trust members do get free parking in the many NT owned car parks throughout the Devon countryside and coast.